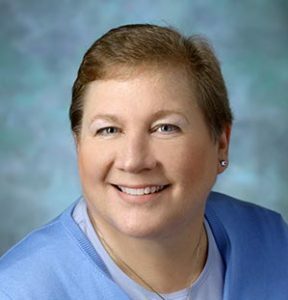 Lillie Shockney is a University Distinguished Service Professor of Breast Cancer and a professor of surgery and oncology, at the Johns Hopkins University School of Medicine. She is the co-developer of the Work Stride: Managing Cancer at Work program. Here’s the good news about cancer, according to 2017 statistics from the American Cancer Society: nearly 15.5 million people diagnosed with cancer are surviving their illness, and about 53 percent of them are under the age of 70. As an employer, that means you will likely be paying the cancer-related health care costs for many more years than employers in the past, when the employee population tended to retire at age 62 or 65 rather than 67 or 70, or beyond. Employers need to pay attention to these costs. Consider this: for every 100 employees in the workforce, 5 percent will have a history of cancer and 27.1 percent of employees will be in treatment for cancer. A 2015 initiative of the Northeast Business Group on Health (NEBGH) notes that “employers report a level of complexity in managing employees’ cancer-related needs beyond that associated with any other type of disease or condition” due, in large part, to the related costs. Cancer treatment alone accounts for 12 percent of employers’ total medical costs in the United States, with $125 billion spent on direct medical costs. Employers need to pay attention to these employees. An overwhelming majority of employees who have received a cancer diagnosis—particularly those with breast cancer—either want to or need to keep working through treatment. Many people strongly identify with the work they do and the company they do it for. Among the roughly 40 percent of cancer survivors who are age 25 to 64, there’s often a feeling of loss of that identity as well a loss of a satisfaction with life and connectivity with friends who are work colleagues. These and other concerns can and do impact a cancer patient’s productivity and very ability to work. We asked the same question at Johns Hopkins in February 2012. I and my colleague at the Sidney Kimmel Comprehensive Cancer Center at Johns Hopkins, Terry Langbaum, informed our leadership that while we were among the nation’s most highly regarded cancer centers for diagnosis and treatment, we were not doing a particularly good job of supporting our own employees who had cancer or who were providing care for a loved one with cancer and still wanted to work. And we identified a gap in supporting supervisors who needed to understand the often complex issues related to managing these employees. Their colleagues. We learned that many employees do not know which websites and other resources provide credible information about risk factors, symptoms of specific cancers, and treatment options. So they end up wasting a lot of precious time trying to make sense of their condition and their options from often misinformed providers. We learned that managers are not as familiar as they need to be with the American with Disabilities Act (ADA), so they don’t inadvertently (or intentionally) fail to accommodate an employee with cancer. There have been situations across the country where employees have won high-dollar law suits because a supervisor eliminated the employee’s job or even fired the employee for not performing up to par while undergoing cancer treatment. Lack of managerial training can be an expensive incident for the company to have to bear, not to mention the company’s reputation. With this information, we began to build an employee benefit program that addressed what we’d learned. The program is now called Work Stride: Managing Cancer at Work. Collaborating with our health literacy and patient education colleagues, we developed a comprehensive web-based platform with resources for employees at risk, newly diagnosed, surviving after treatment, and serving as a caregiver to a loved one. Employers also can choose to provide their workforce with a specially trained Johns Hopkins certified oncology nurse navigator, who is a patient advocate and resource, providing employees and managers with 24/7 telephonic, email, text support. There are two important philosophies ingrained in Work Stride: Managing Cancer at Work. The first is to enable an employee to work while receiving their cancer treatment, if they so choose. This approach is based on one of my long-held mantras: Only give cancer the time it needs to get rid of it. Don’t allow it to steal away any more of a your time, your family time, your social time, your personal time, or even your work time. It doesn’t deserve it. Working provides a sense of normalcy, and maintain normalcy during any crisis reduces stress. The second philosophical grounding is this: Survivorship must begin at the time of diagnosis. This means keeping the patient’s life goals preserved rather than forfeited to this disease and its treatment. The Johns Hopkins nurse navigator gives priority to working with the patient as her/his advocate so that these life goals are known to the treatment team. The treatment team in turn can then incorporate these life goals into the treatment planning process. This article was originally published in the September 2017 issue of The Self Insurer magazine.